Is the intense summer heat getting you down? Maybe it's time to chill off with a cool hobby like coin collecting. Yes, I said coin collecting is a cool hobby. And, you know what? It is! In what other pastime can you learn about history, art, national and world governments, social movements, and still have the potential to actually make money if or when you sell the things you're collecting? There are many great ways to tie all of those wonderful things about coin collecting into some cool summer coin collecting projects. 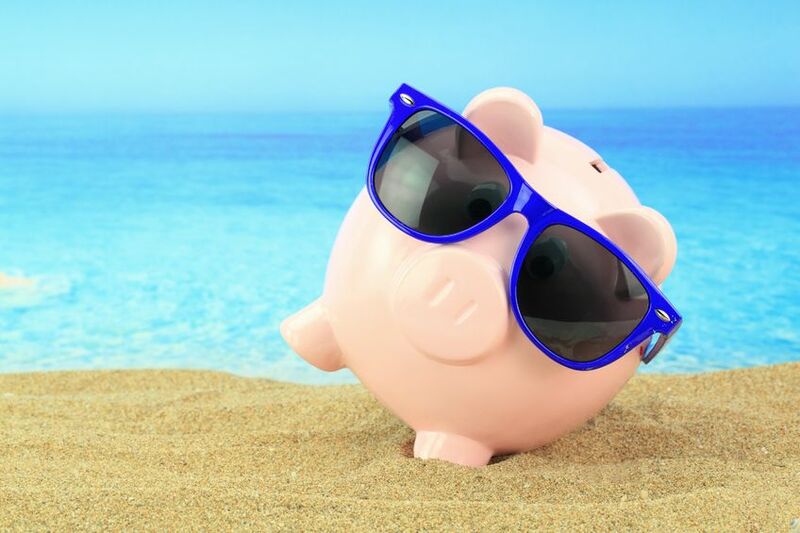 Here are three summer coin collecting projects – one each for June, July, and August – that should help you breeze through the dog days of summer until the crisp, cooling weather of fall arrives. #1 – Silver Type Set – What looks cooler than the brisk, silvery-white glean of silver coins? Silver coins are beautiful, easy to collect, and offer a virtually limitless array of coin types, designs, and themes. Even better? Silver coins aren't nearly as expensive as their yellower, higher-priced counterparts: gold coins. Many collectors focus on collecting the popular silver coins of the United States, including Walking Liberty half dollars and Morgan silver dollars or Peace silver dollars. Expand your horizons beyond the good ol' USA and you might enjoy the silver dollars of Canada, crowns of Great Britain, or classic silver marks of Germany. #2 – Topical Set – You know what's fun? Collecting coins based on the theme of their designs! And a great hot-weather coin collecting project could be collecting coins based on themes such as beaches, boats, or other summery topics. Nations such as the United States, Canada, Great Britain, Australia, and many of the island nations in the Atlantic and Pacific offer a plethora of coins with designs that fit such themes. My recommendation on knowing what world coins to collect that suit those themes? Buy or borrow from the library the latest copy of The Standard Catalog of World Coins (Krause Publications). This phonebook-sized tome of coins from around the world will help you pick and choose exactly what coins you would need to build a wonderful, exciting topical coin set. Or, as it's summer, shall I say, "tropical" coin set? #3 – Date Set – I think most of us remember at least one special summer in our lives. Maybe it was the year you went camping with your family or friends. Perhaps it was a particularly memorable high school-era summer. Maybe you even fondly remember the Summer of Love in 1967 or attended the famous Woodstock Music Festival in 1969. Whatever that special summer was for you, why not recall warm memories of hot times gone by with a year set collection of coins from the summer(s) you remember – and miss – the most. For me, it was the summer of 1999 – I had just finished my high school years, I was excited about the brand new 50 States Quarter program, and I took a splendid summer road trip with my family to Ohio, New York City, and Boston. I also have a special year set of coins from 1999 to honor those special memories. Ah, those were the days, my friend. Of course, there are many other terrific coin projects you could work on to keep busy over the summer. Whatever coin collecting goals you decide to pursue this summer, don't forget to stock up on plenty of coins for the coming winter hibernation!